Suited for sealed surfaces including ceramic, vinyl, laminate, granite, marble, hardwood floors,etc. 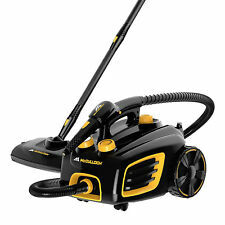 1 x Steam Cleaner. 1 x Brush Plate. 1 x Long Spray Cup with Nozzle. 1 x Bent Spray. 1 x Spray Cup. Support hanging ironing function. Steam temperature: 150° C. Steam flow: 50g/min. Steam Pressure: ＜0.8MPa. Bathroom cleaning. Child protection lock. Kitchen cleaning. Living room cleaning. Part Number: S3251. Shark Light and Easy Steam Mop. Washable microfiber pads that lift up and lock away dirt & debris. Swivel Steering for easy maneuverability. This mob is new in the original box. Chemical Free 99.9% Sanitization. McCulloch MC1275 Canister Steam Cleaner Floor Cleaner Small NO ACCESSORIES CONDITION: Good condition (wear as pictured)*TESTED WORKS* SHIPPING: international shipping through eBay program rates may apply FEEDBACK: If you liked the item positive feedback would be greatly appreciated RETURNS: 100% Money back guarantee! Fits for XT3010 /S3111/S1001/S3101/SP100K/S3250/S3251/S3202/SE200/SP100Q Steam Mop. Material:Fiber Cloth. Strong absorbent, strong stain removal, easy to clean, perfect for scrubbing. Easy to change and install.
' Features: ---Produces Superheated Steam ---Naturally Cleans with Hot Steam Vapor ---Easy Carrying Shoulder Strap Design ---Rotating Steam-Powered Cleaning Ability ---Scrubber Heads and Deep Cleaning Jet Nozzle ---Comes with (10) Piece Attachment / Accessory Kit ---Uses Tap Water - No Chemicals or Cleaning Solutions Required ---Deodorizes and Sanitizes While you Clean ---Quickly Disinfects - Removes Dirt & Grime ---Lightweight, Portable and Easy to Use ---Tested to Kill 99.9% of Germs and Bacteria ---Simple Operation Single-Touch Steam Activation ---Adjustable Steam Power Control ---Built-in 1200 Watt Heating Element ---Perfect for Your Home, Car or Boat ---Water Tank Capacity: 4. New in box. Never removed from box. Power: 1000W. Power: 220V. 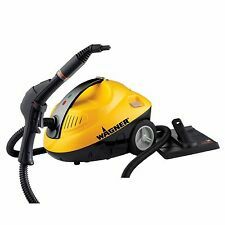 1 x Electric steam cleaner. Emits high pressure and high temperature powerful hot steam to remove any grease, mold, grout or stain for the hard surface in kitchen and bathroom. This order is for four (4) bottles of carpet cleaner. All of our inventory is new and unused unless otherwise noted. EXCELLENT SERVICE. With 9 Piece Accessor. The item(s) in the pictures will be the item(s) you will be receiving and is being sold as is. Before you open an e-bay case. This would be faster and effective. Easy to maneuver, the steam in the floor mop loosens that hard to remove dirt while the mop lifts it away. Different steam settings allow for effective cleaning of all different floor types. 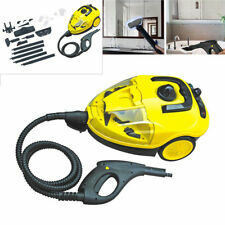 H2O 5 in 1 Steam Cleaner. The steam boiler reaches 275°F at a high pressure of 43.5 lbs. Polti Vaporetto Easy Plus Handheld Steam Cleaner- 88762-CHN-001 Lightly Used. Polti Vaporetto Go MultiSurface Steam Cleaner Rolling Canister PTNA0014. Condition is Used. Tiffany 1300W Steam MopModel No: TSM1300. Quickly and easily clean your floors with Tiffany 1300W Steam Mop! Give your hard floors a shiny sanitized clean with the Tiffany 1300W Steam Mop. Power: 1300W. Models Include 1867, 90T1, 23B6F, 33A9, 65A8, 90Y5. Part 1603245. I also have Steam Mop Pads listed. <----------NEW STYLE. OLD STYLE ---------->. Clean upholstery, clothes, surfaces and any other dirty place around your house. With new safety features to comply to new EU regulations this machine has a child proof steam button and also a cap lock when steaming to prevent more water being added to the reservoir. What you see in the picture is exactly what you get. Steam Head Only. Microfiber steam mop: great for all sealed hard floor surfaces including tile, wood, vinyl and laminate. Lightweight design and firm shoulder strap make it easy to use. - Microfiber steam mop: great for all sealed hard floor surfaces including tile, wood, vinyl and laminate. 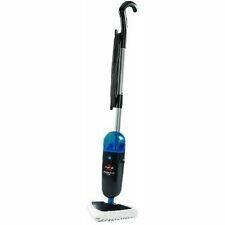 Shark S3251 Light and Easy Swivel Steering Sanitizing Microfiber Steam Mop. Shipped with USPS Priority Mail. Box is open. All components seem to in the box. Sold as is. Chemical Free Cleaning. Great for cleaning surfaces or removing wall paper. 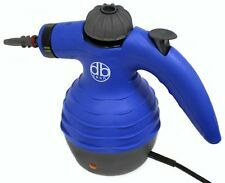 ---Powerful rotary action with three steam settings for steam-scrubbing surfaces throughout your workshop and garage ---Use the rotating brush and steam functions separately or together for added versatility ---1200 watts steam generator and quick 30 second heat up time ---10 oz. water tank provides up to 20 minutes of steam time ---Water treatment cartridge included for a longer product life. Shipping within the US only. 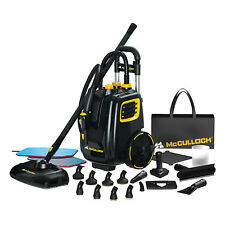 You will receive McCulloch MC1385 Deluxe Canister Steam System. Large 64 oz. water tank heats up in 12 minutes and provides up to 120 minutes of continuous steam. Naturally deep cleans and sanitizes without the use of harsh chemicals ; PowerCord Plug Type :3-Pin Grounded. The 48-ounce water tank heats up in under 8 minutes and provides up to 45 minutes of steam with optional lockable steam trigger for continuous steam cleaning. It also works well for removing stuck-on dirt from the BBQ grill, patio furniture, or garage. Power: 1800W. 1 x Hanging Ironing Machine. Rotate function button, after 45 seconds, sprinkler spray steam, can start ironing. 1 x Steam Brush Hose. Insert the steam hose into the steam outlet of the machine, rotate the hose along clockwise, and the steam brush can be placed on the top of the hanger. This unit is used and it powers on. Part No 1603246. IF YOU NEED A NEW TANK YOU MAY ALSO NEED A NEW WATER FILTER LISTED AS 1611325 prev 1603247. THE NEW TANK CAN'T BE USED WITH AN OLD FILTER. BUT YOU NEED TO USE A NEW STYLE FILTER WITH IT. 1 x Curved sprayer. 1 x Brush sprayer. 1 x Steam cleaner body. 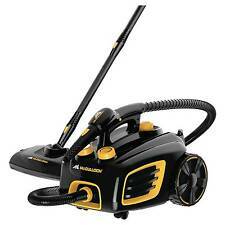 - High temperature and high pressure steam to remove the floor, doors and windows, clothes, dirt and stains. The steam ejected after heating can reach a high temperature of 130 Deg.C. Swiffer Steamboost Mop Starter Kit Assembled Steam Activated Cleaning Pads Tackle Tough Messes Mop With Swiffer Pad/Chemistry System Provides Deep Down Clean Ease & Superior Clean Disposable Steam Pads Make Cleaning Up Easy & Then Toss Away The Mess No Dirty Cloth Cover To Wash Refill Pads Open Window Fresh Scent #85802 TV #171-953.swiffer steamboost starter kit assembled. 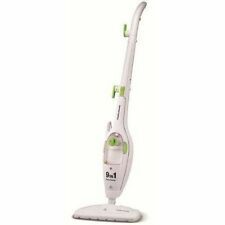 swiffer steamboost powered by bissell with steam-activated cleaning pads tackle tough messes. the only steam mop with swiffer pad/chemistry system. provides deep-down clean ease & superior clean can co-exist. disposable steam pads make cleaning up easy and then toss away the mess! no dirty cloth cover to wash. refill pads available in open window fresh scent - mfg#85802. New In Open Box. Condition and What. It is designed with winder, which makes it easy to gather. 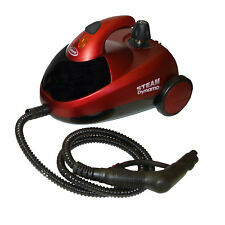 There is much less water in the steam content, which is lower than other steam cleaner. Steam Pressure: 4.0PA. The indicator light would twinkle once there is lack of water. Fits models: FH50210, FH50220, FH50221, FH50222, FH50225, FH50226, FH50230 and FH50240. OEM #440003359. Polti steam is EPA approved. Eliminate harmful bacteria, allergens, dust mites and more without harsh chemicals. Light, compact and handy, Vaporetto Go can be easily moved from one room to the other. HOOVER STEAMVAC 7 AMP. MOTOR 27212049. PULLED FROM WORKING HOOVER MODEL C3820.